Keep your cars, trucks, tractors, yard equipment and other outdoor supplies protected when you want where you want without having to build a permanent structure. 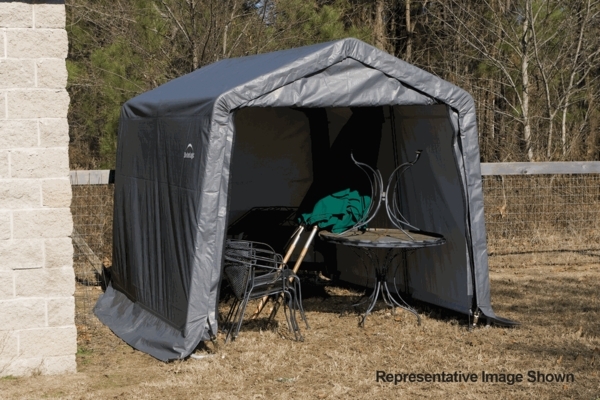 This portable shelter will give you all the protection and security you need without a building permit. 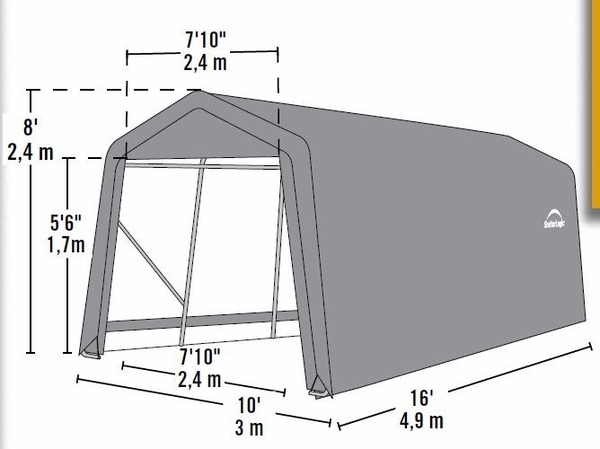 This 10 foot wide x 16 foot long x 8 foot high Peak-Style Portable Shelter is made by Shelter Logic, the experts in portable shelters and garages. The warranty is one year limited.